Last year I returned to work with a mixture of positive and negative feelings. On the positive side, I was able to rejoin the beauty world on a professional level and get myself back out there making my connections and learning all about new products and techniques. I also managed to get back into a regular beauty routine. In addition to my professional exposure to beauty items, I also was so inspired by social media and other bloggers to try some new things. Instagram, YouTube and beauty blogs lead me down the road to seek out some of the items on this list, while others fell into my hands unexpectedly. Here are my top 10 picks of 2015. This list covers a good range of products and brands, and there is something in this list for any budget. I hope you enjoy! Rouge Coco Ultra Hydrating Lip Colour is a gorgeous, buttery lipstick that hydrates for hours, and the shade 444 Gabrielle is a stunning red. Read about my journey towards finding the lipstick here, and enjoy the full review. Coverage? Check! Easy to apply? Check! A vast array of shades to choose from? Check! I call my Nars Radiant Creamy Concealer in Custard my sleep in a tube. A sweep of this magic wand will make under eye darkness disappear quicker than you can say “Put another pot of coffee on.” Visit my full story on this concealer here. The Anastasia Beverly Hills Contour Kit has traveled to other countries with me. 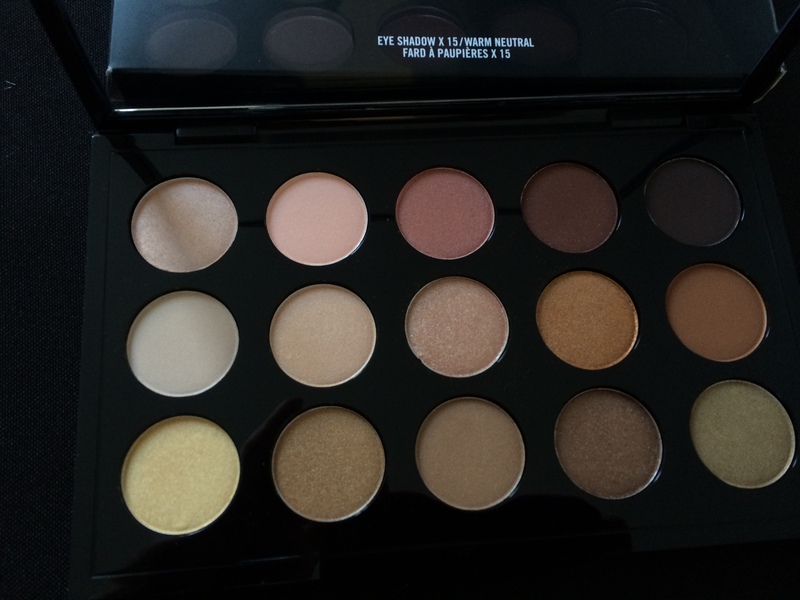 I love the versatility of it and it is super slim and easy to pack. I know there’s a plethora of contour products out there to choose from right now as it is all the rage, but this one caught my eye early on when I saw it plastered all over gorgeously sculpted faces on Instagram. Check out my review of it here, where you will also see some before and after photos! Liquid lipsticks are showing up in every brand right now. They are touted to be matte, highly pigmented and long wearing. The unfortunate part is, this trifecta of liptick promises rarely comes to fruition. That is, until I tried Anastasia Beverly Hills Liquid Lipsticks. Ladies and gentleman, these simply do not disappoint. They are not easy for us Canadian Foxes to get our hands on as you can read about here, but I tell you that if you are so lucky to get one, you will see how it rises above so many others. Not new to the market, but a discovery of mine in 2015. I rave about it here, and can tell you that this super – fine powder is a keeper that will be a staple of my makeup bag forever, either in its matte form or illuminating form… or both! Initially chosen as a stand – in for the pricier Beauty Blender sponge, I can honesty say that this one is a winner on it’s own! Effective blending at a cost that any pocketbook can handle, the Quo Blending Sponge is a an easy way to shake up your foundation routine and try a new trick. Learn all about how I use this sponge here and take a little time to rethink the makeup sponge! Oh the quest for the perfect liquid liner came to an end once I found the Stila Stay All Day Waterproof Liquid Eyeliner . This is a gem that I stock up on and keep reserves in my desk just in case. Love love love this liner! Want to learn more about this liner? Check out this link for more! I discovered Revlon Ultra HD Matte Lipcolor only days before 2015 came to an end, so this one was close. This one was also impressive enough to make the list and bump something else off! I have been a life long supporter of Revlon products, particular their lipsticks. I rave about this new one here. Seriously, I did not have high expectations from a brand known more for it’s cutesy packaging and makeup items. What a wonderful surprise this serum gave me! You can read the full details of this unexpected winner here and find out how this not – so – new product even found it’s way onto my 2015 list. There’s always a story and this one really speaks to the power of a sample! This was the year of surprises! I never would have thought that Cover Girl would end up on my list as I thought this was a brand that was from my teen years only. Well, here I am a lifetime later and being wowed by this affordable and impressive mascara. Wanna know more about it? Of course you can read all about it here, where I go into details about the Super Sizer! That wraps up my top 10 of 2015… I would love to hear about YOUR favourite discoveries over the past year. Tell me about them in the comments or visit my Facebook, Instagram or Twitter (Foxy Face Beauty for all) and let me know! Categories: make-up, product reviews, skin | Tags: ABH, Anastasia, beauty, Benefit, blending, Chanel, cleanser, contour, cover fx, eye makeup, eyeliner, eyes, lips, liquid lipstick, makeup, mascara, nars, origins, powder, product review, Quo, scrub, serum, setting powder, skin care, sponge, Stila, top 10 of 2015 | Permalink. I have been using MAC for close to 20 years. It was a little niche brand back then, and way ahead of its time. The counter girls (and some boys) were outrageously made up, and I would feel a cross of desire and fear to visit the counter. Everyone looked so glam, so chic and so put together… I felt dowdy and unworthy even though I myself worked in a beauty department. That was also a long time ago when a drug store carried only drug store makeup… many things have changed since then my Foxy Friends! If you are a Canadian reader, or visit Canada, you will know that our drug stores have staggering beauty departments that fulfill all of you beauty wishes! I ventured into MAC more often once a good friend started working there. My addiction was Studio Fix Powder in C20. 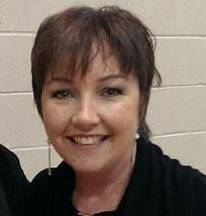 I went though one every two weeks and often looked almost doll-like with my thick layer of base…. I loved that look and it is definitely one that you can only rock before any fine lines or wrinkles start to set in, so I am glad I wore it in my youth. Over the years I have tried almost every product they have, and often return to replenish. I guess recently though, MAC fell off of my radar as more and more new niche brands have been popping up all over the internet. Then, someone I know that works at MAC offered their new eyeshadow palettes for me to try out. I welcomed the gesture as I had just been thinking that week how my eye shadow collection was going either too old or too boring or too colourful (I know… first world problems strike again). Imagine my delight when the palettes arrived! This absolute angel sent me not one, not two, but THREE of their new palettes to try out!!! That would be 39 NEW eyeshadows in total! Oh boy did I need this… I had been busy having two babies in an 18 month span and so much of my creativity and zest for beauty products had been put on the back-burner while I figured out how to keep the tiny humans alive and quiet. Purple Times Nine – This well-edited palette features a colour wave of petite purple hues that offer countless shade combinations. It provides an array of textures from matte to satin to frost for creating a variety of looks for both day and night. The saturated, soft and smooth hues are all packaged in one compact for easy portability. Retails $48 CAD, value of $63. 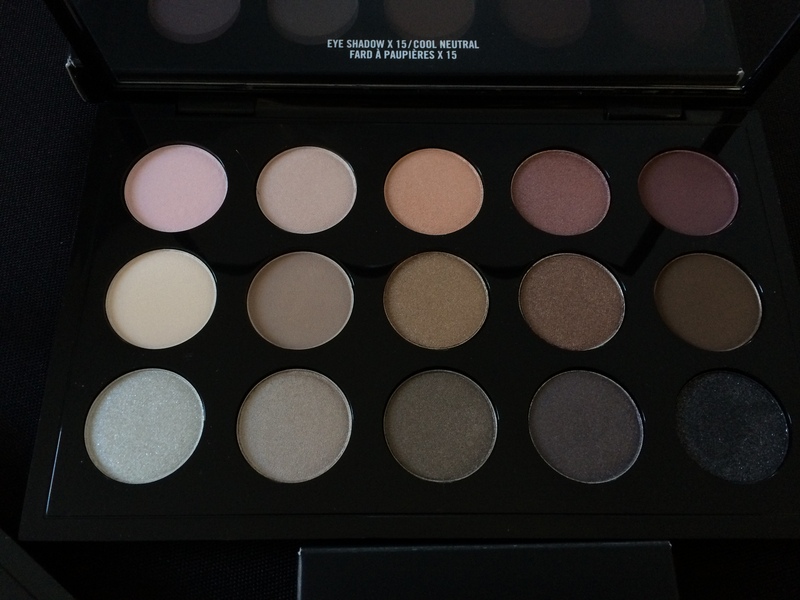 Eye Shadow X 15: Cool Neutral – An Eye Shadow Palette in fifteen cool shades: Flounce, Sweet Allure, Sun Tweaked, Blackberry, After Dusk, Pick Me Up, Crushed Clove, Cozy Grey, Deception, Brun, Silver Fog, French Clay, Cumulus, Pearled Earth and Black Tied. The highly pigmented powder formula applies evenly, blends and builds beautifully. Retails $99 CAD, value of $192. Eye Shadow X 15: Warm Neutral – An Eye Shadow Palette in fifteen warm shades: Hey, Warm Breeze, Gingersnap, Dark Brew, Dance in the Dark, Brule Vanilla Extract, Honey Lust, Amber Lights, Saddle, Lemon Tart, Butterfudge, Creative Copper, Unwind and Divine Decadence. The highly pigmented powder formula applies evenly, blends and builds beautifully. Retails $99 CAD, value of $192. Immediately I am drawn to the purples. 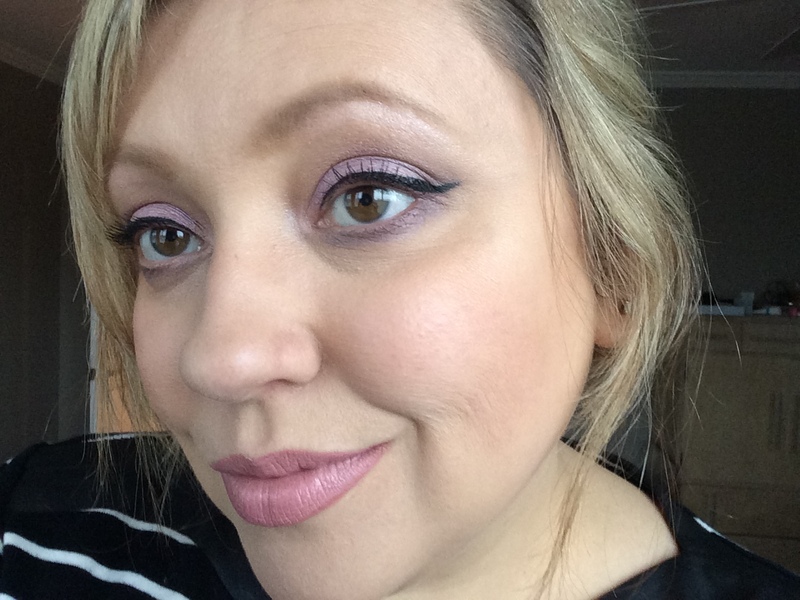 I looooove to wear purples and they look so good with my eye colour. They make my hazel eyes POP and purples pick up on my flecks of green. 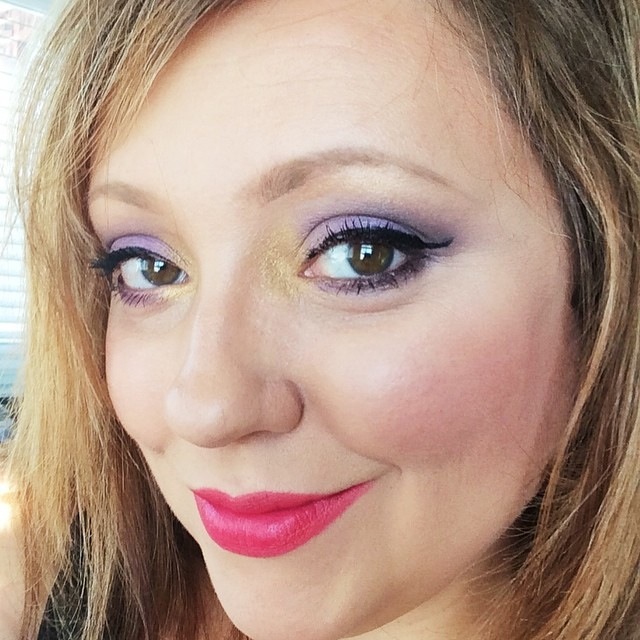 I have to confess something that I am slightly devastated by though… I have an aversion to purple eye products. Something about the pigment cause my eyes to start to tear and get a little red, and the longer I leave them on, the more intense the ouch factor gets. I was truly hoping that these ones would be different, or that perhaps I had outgrown my sensitivity. Alas, I had not. I played with this palette one day and it looked so pretty, but by the end of day my eyes were telling me “no-go”. Sigh…. at least I tried. This is a rare soft look for me, and I loved it. Wish I could wear purples! Full disclosure: I tried them more than once to make sure. These two photos represent two looks I created with them. 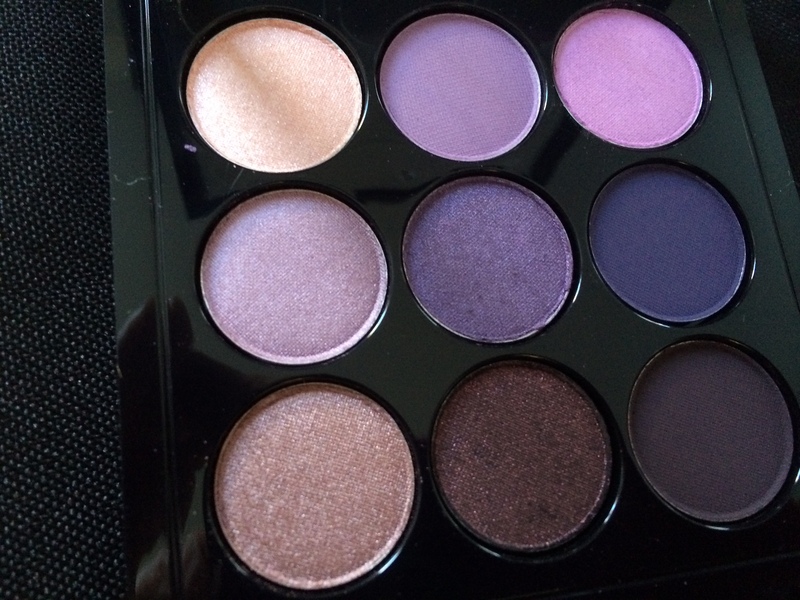 That said, this palette of 9 shadows also comes in three other collections with the focus on Amber, Navy and Burgundy. The pans are slightly smaller than a normal MAC eyeshadow, but unless it’s a favourite you never use up a whole pan anyhow. At $48 these are great little collections with a range of intensities and textures in each palette, and I would not hesitate to pick up all four. They are a great way to get a ton of colour options that you can use on their own or pair with neutrals. Did someone say neutrals? Yes, I know that was me and my obvious segue to discuss the Warm Neutral and Cool Neutral palettes. First of all, these babies have 15 eyeshadows in each one! This is ahhhh-mazing! As far as I am concerned they are both MUST HAVES for any artist kit, and I think the average person should have at least one of these. You can create ENDLESS looks and even use them in conjunction with any pops of colour you want. I love that there are shimmers and mattes, and the only thing I would change is to have more mattes in the Neutral Warm, but that’s just me. These larger collections are simply stunning and I wish they had created these years ago. I would have saved a ton of money over choosing all the individual shades myself and paying full price for each one. I am so impressed with MAC for releasing “value sets” that give the avid purchaser a chance to get something extra. NOTE: Not posting pics of me wearing the neutral palettes at this time as going forward you will be seeing a lot of them! If you follow me on Facebook or Instagram all of my latest looks are created using one of the neutral palettes. 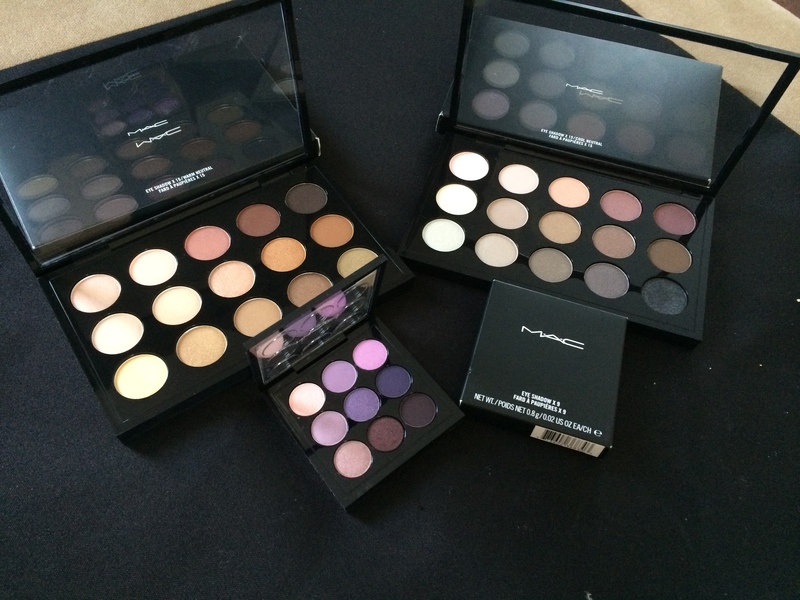 So it’s you turn now Foxes, have you tried any of these MAC palettes yet? Do you have a fave eye shadow palette already? Do tell…. Categories: eyes, product reviews | Tags: cool neutral, eye makeup, eyes, eyes on MAC, MAC, violet times 9, warm neutral | Permalink. You can check out Nicole’s Facebook page for her contact information and to see more of her work. So Foxes, are you going to be rocking a smoky eye look this season? What colours do you use to create the look? Categories: advent calendar, beauty tips, eyes, make-up | Tags: advent calendar, beauty, beauty tips, eye makeup, smoky eye | Permalink. Cathi Westrop is the beauty expert providing us today’s Foxy beauty tip. She has worked for several decades in the beauty business at the counter, as a freelance makeup artist, and as a trainer for a top beauty brand. She now has channelled her creativity into designing her very own artisanal jewellery and soaps. Check out her company 5 magpies for some unique gift ideas! Now that’s a pro tip! Stay tuned for a new tip tomorrow, and if this is your first visit, check out the tips from the previous days from beauty experts from all across Canada! How do apply your eye makeup? Do you like to put it on first or at another point in your regime? Comment below to share! 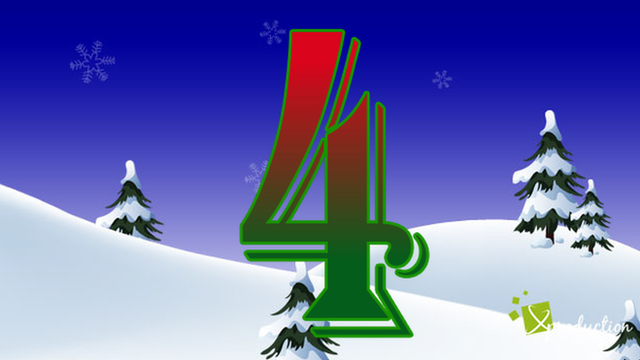 Categories: advent calendar, beauty tips, eyes, make-up | Tags: advent calendar, beauty, beauty tips, eye makeup, eyes | Permalink.